I run Happy Owl Studio and Blockchain Technology Co-op. In the past, I've been a dial-up ISP tech support agent, a Marine infantryman, an anti-war activist, a VFX artist, an Apple salesman & creative, an internet entrepreneur and now I am a voluntarist & cryptocurrency evangelist. I understand and appreciate where you are coming from with your recent letter about Bitcoin, and I agree about the fundamental issues you address regarding the financial security of our country and the protection of hard-working Americans. As a US Marine Corps veteran of the Iraq war and a small business owner, these are values I share. Before I really understood Bitcoin, I had the same concerns that it was a get-rich-quick scheme for speculators and a currency only suited for nefarious individuals. But then I learned about the true brilliance underneath Bitcoin – the Blockchain – and this new understanding changed my opinion. I urge you to consider the gravity of this innovation, which in my opinion is on par with the internet itself, and my hope is that instead of prohibition, you will champion an environment conducive to the incredible potential prosperity it makes possible. Let me address your specific concerns and then I’ll share why the Blockchain itself really changed my mind. Concern #1: Bitcoin is a haven for scams and black market sales and helps criminals to hide from law enforcement. Let’s first agree that despite laws and regulations, there will always be some people who engage in malicious activity. Since that is the case, the key question is how Bitcoin compares to other currencies, and how it intersects with criminal behavior. Yes, Bitcoin enables frictionless transfer of money over the internet and the transactions are irreversible. But they are not anonymous. The blockchain is in fact a publicly visible ledger, in which all transactions are completely visible to everyone. Transactions are pseudonymous, meaning that the sender and receiver are labeled with an address that can be used to connect them to their identity. Before these concepts were widely understood (and it became public knowledge that the NSA has access to all of the information coming in and out of our computers) it appeared as though Bitcoin was a great tool for illicit activities. But now, law enforcement agencies have suggested that Bitcoin could actually be beneficial to their investigations – by subpoenaing ISP records to demonstrate ownership of a Bitcoin wallet and combining that information with the records in the public blockchain, law enforcement can actually provide evidence of criminal activity – evidence that the blockchain itself will never allow to be destroyed. What happened with the Silk Road is an excellent example of the transparency of the system supporting efficient action from law enforcement and it has since become understood that Bitcoin is actually a very poor vehicle for illicit activity. Let’s look at the numbers. Before they were shut down by authorities, the Silk Road and other illicit drug markets combined handled about $50M in annual sales, which seems like a big number. But for context, it only accounts for .01% of the international drug trade annually (based on an estimated annual worldwide drug trade of around $435B). And for a little more context, the Bitcoin network handles about $10B in annualized transaction volume, which means only .5% of Bitcoin transactions went through these black market exchanges. So it turns out that the amount of illicit activity conducted in Bitcoin is really quite small, no matter how it’s measured. I shared your concern about the potential for hackers and scammers to steal Bitcoins from average folks like myself. But then I learned about the two aspects that make the Bitcoin protocol more secure than anything we have seen before: #1) It is maintained by a massive decentralized network of computers in which no single computer can decide it wants to alter or break the rules, and if it tried it’s work effort would simply be rejected by the rest of the network. As long as at least 50% of of those participating are doing so without bad intentions, all goes smoothly. But even if a bad actor comes along and spends hundreds of millions of dollars in hardware to control more than half of the network, their power would be limited to reversing a transaction within 10 minutes of it being initiated. #2) It uses a “push” system whereas most traditional financial transactions use a “pull” method. In traditional transactions I hand over my personal and banking information and trust that the business I am transacting with will only take the amount of money we agreed to and will keep my private information safe. This method has proven again and again to be profoundly vulnerable to hackers; just recently hackers stole the personal information of 70 million Target customers. Bitcoin’s “push” system means that I, as the consumer, am able to send the money for the transaction to the business directly without revealing any of my personal information and I have complete control over the amount that is sent. Concern #2: Bitcoin is highly unstable, disruptive to the economy, and is being banned by other countries. Describing Bitcoin’s exchange price as unstable is a fair characterization, but there are several factors to consider for a more broad understanding. First, like most currencies, it’s price has been growing more stable as it’s market cap has increased and, according to the Washington Post, it is “highly likely” that Bitcoin’s price will stabilize over time. And for a little more context, Bitcoin’s price is in fact less unstable than many other national currencies with annual inflation rates of 12% (Egypt), 54% (Argentina) or even 300% (Venezuela). Second, viewed as an investment, Bitcoin was a big winner in the past year, increasing in value by at least a factor of ten. Third, Bitcoin holds the promise of a new kind of economy, one that offers much more stability than our current system. 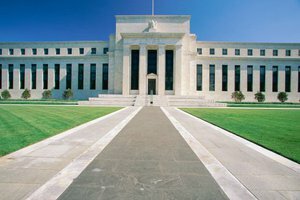 While there will be some rockiness in the road to getting there, it’s potential is far more stable than the system we have now which has required our central bank inflate our money supply by more than $80,000,000,000 per month for years to support the continuing operation of our largest banks. Finally, despite it’s price fluctuations, Bitcoin has proven to be incredibly resilient. Even with all of the market moving news recently – the possible theft or loss of around 850,000 Bitcoins and the collapse of the once largest exchange – the price has recovered within a few days, climbing above $550 already. This is just the most recent example of many that illustrate the incredible resilience of the Bitcoin protocol itself and the longterm bullishness on the part of its supporters and users. Your concern that the deflationary nature of Bitcoin’s value will encourage hoarding also makes sense, especially since some of the largest proponents in Bitcoin have admitted to hoarding their holdings. However, MIT has just released a report that dispels these fears in which they assert that the vast majority of new Bitcoins are spent (circulated into the economy) within 24 hours. And as far as Bitcoin being disruptive to our economy, I enthusiastically say – yes please! Our manufacturing base has been almost completely off-shored and our actual unemployment rate is staggeringly high. If you ask me, our economy needs some disrupting, and Bitcoin is just the ticket to bring about the positive change we so desperately need. I honestly don’t really understand why you are looking to China and other countries for their position on Bitcoin. China also bans Twitter, YouTube and Facebook, all very significant tools for the sharing of information and valuable parts of the American economy. I’m grateful to live in a country that values innovation and freedom and I hope that our policies will continue to reflect these values. I think the larger concern in this respect is that as Bitcoin is banned in other countries, businesses will leave those countries, looking for a place that embraces innovation. Countries that appreciate and embrace the value of the blockchain are going to be the home to billions of dollars in new economic activity. But don’t take my word for it – consider the wisdom of 20-year Wall Street veteran Bruce Fenton who says that countries that ban or over-regulate Bitcoin will suffer “fewer startups. A drain of top talent. Jobs and opportunities pushed overseas.” Or the inventor of Netscape, the first web browser, Marc Andreesen who said, “the amount of hardware and innovation that is put behind it is going to be gigantic.” In other words, Bitcoin isn’t just an economic boon, it’s a job creator and we don’t want to miss out on the prosperity it will create by banning or over-regulating it in it’s early days. That something is unregulated isn’t, in and of itself, evidence that it needs to be regulated. Bitcoin is revolutionary exactly because of it’s transparent and open nature, and, for the first time enables a market to be authentically regulated directly by consumers themselves. The Blockchain is what it’s really all about. PrimeCoin is being used to find new prime numbers. SolarCoin incentivizes the adoption of alternative energy. CureCoin is distributing the work of protein folding to help cancer researchers find a cure. Permacredits support the building of permaculture developments, backed by real commodities like housing, agriculture and business. My company is in the design and manufacturing business – and I have been very unhappy with the two options currently available to me to make our products; we could either manufacture overseas where questionable labor practices, unregulated toxic materials, and big quality control issues dominate or we could be essentially priced-out of the marketplace by choosing to manufacture domestically and responsibly. We are currently developing a blockchain called Makercoin – it’s purpose is to encourage collaborative development of goods and to decentralize, distribute & localize manufacturing. It’s end goal is to capture the creativity and innovation of the brightest minds in design and bring manufacturing back into our local communities, rather than simply where the cheapest and most exploitable labor is concentrated. My hope in writing this letter is that you will reconsider your position, and welcome the next technological revolution by advocating for policy that supports an environment of innovation and prosperity for all. Your Central Bank Steals Your Money. Here’s How.